The head of the nation’s environmental agency says that he’ll only fly coach in the future, after criticism that the agency was paying for him to fly in first or business class for most flights. The Environmental Protection Agency (EPA) has said that Administrator Scott Pruitt‘s security detail flies first class because of an “unprecedented” number of threats against him. Pruitt said his staff and security detail made the decision to upgrade his flights after incidents in airports and other planes that “were not the best” in an interview with New Hampshire ABC affiliate WMUR. Now Pruitt said he’s directed his staff to find another way to deal with possible security threats in a way that he can still get cheaper tickets in coach. “What I’ve told them going forward is this: There’s a change occurring, you’re going to accommodate the security threats as they exist, you’re going to accommodate those in all ways, alternate ways, up to and including flying coach. 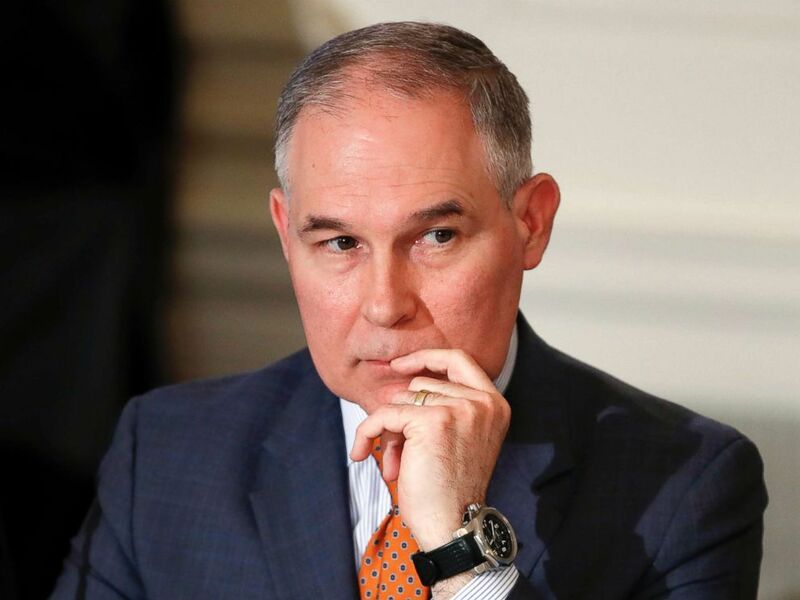 And that is going to happen on my very next flight,” Pruitt said on CBS News’ “The Takeout” podcast on Wednesday. ABC News has reached out to the EPA for comment. Environmental Protection Agency Administrator Scott Pruitt attends a meeting with state and local officials in the State Dining Room of the White House in Washington, D.C., Feb. 12, 2018. Pruitt was under scrutiny after travel records were released showing that he regularly flew first or business class even on domestic flights while members of his staff had cheaper tickets in coach. The House Oversight Committee asked the EPA last week to provide details and documents on all of Pruitt’s travel. EPA spokesman Jahan Wilcox previously said that the administrator had a waiver to fly business or first class on every flight for security reasons. Federal rules say that government employees should consider the least expensive form of travel whenever possible. Chairman Trey Gowdy wrote that the EPA has to provide that information by March 6.